I’m among the Alaskans who have long been disturbed by, and critical of, our state’s “intensive management” of bears and wolves, which in simpler language is a predator-reduction program. Or, more bluntly put, a state-managed predator-kill scheme. 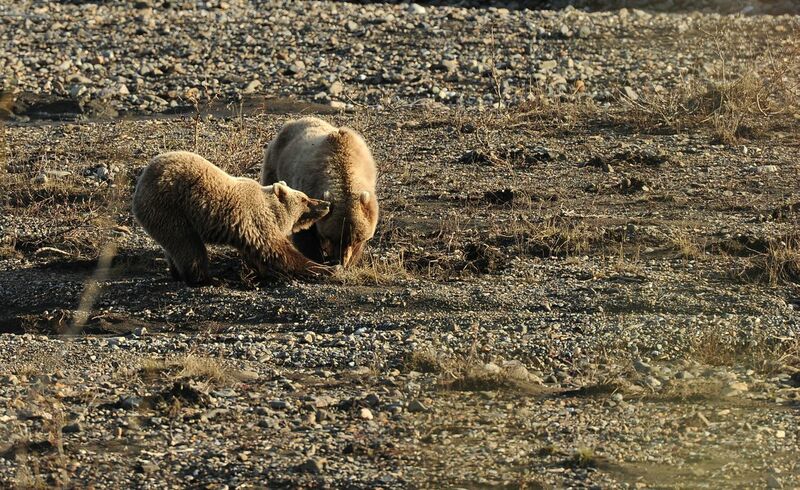 State officials have largely shrugged off our concerns and criticisms while going about their task of reducing bear and wolf numbers to unnaturally low levels in large parts of Alaska, often by methods that most people would consider unethical or inhumane. And they do this killing so that humans — many of them urban “sport” hunters and guided trophy hunters — can kill more moose, caribou and deer. At times even wildlife scientists (both within and outside Alaska) have joined the chorus of protesters objecting to Alaska’s predator-kill strategies. Yet their voices, too, have largely been ignored and the state’s war on predators has continued for many years with little or no interruption. Though some might criticize my use of “war,” in essence that’s what it has been: a prolonged and state-sanctioned lethal attack on wolves and bears (both brown and black), with much of the killing done in ways showing little or no regard for principled behavior. Now, however, a commentary published in a scientific journal has not only gained the attention of our state’s highest-ranking wildlife officials, it has rattled their cages. Members of the Alaska Board of Game and the Division of Wildlife Conservation director’s office are so upset that they openly and loudly condemned the commentary at a recent game board meeting. And they vowed a response (reportedly in the works) that will set things straight. In a curious way, this pleases me. It’s good to know that something has finally stirred things up. The commentary that has riled state wildlife officials is titled “Large carnivores under assault in Alaska.” Its four authors include three men with close connections to Alaska. Two of them, John Schoen and Sterling Miller, are highly respected wildlife scientists who once worked for the Alaska Department of Fish and Game; both are widely known for their bear research. The third Alaskan, Sandy Rabinowitch, had a long career with the National Park Service and worked on many Alaskan wildlife-management issues. All are highly qualified to comment on Alaska’s mismanagement of bears and wolves. I include this information because it shows the high standards that must be met for publication. I’ll also mention that “Large carnivores under assault in Alaska” was published as a “Perspective” piece. While remaining scientifically rigorous, such pieces are directed at a wide readership that includes not only scientists but also “the interested public.” In that respect, this particular commentary is perfect for an Alaska audience, because so many of us care about wildlife, including bears and wolves. The arguments the authors make are convincing. But again, the evidence is nothing new. This is something that’s been going on a long time and is well documented. What’s noteworthy here is the platform of the critique and the scientific credentials of its authors. The piece also points out that federal agencies have for years resisted several of the state’s most egregious hunting and trapping practices because of different management priorities, but under the Trump administration, the federal government is reversing course and cooperating with the state to allow such methods in National Park lands and wildlife refuges, a regrettable circumstance. The commentary makes the argument that the state’s long-running predator-reduction effort is a systemic problem that will only change if the law is overturned. It also makes clear that the state of Alaska’s wildlife management system is outdated, regressive and scientifically indefensible. While state wildlife officials have expressed their fury at this scientific rebuke of their predator-kill strategies, Alaskans who care about all our wildlife are the ones who should truly be outraged at a wildlife management system that is not only backward, but in many ways reprehensible. Anchorage nature writer Bill Sherwonit is the author of more than a dozen books about Alaska, including “Alaska’s Bears” and “Animal Stories: Encounters with Alaska’s Wildlife.” He also writes a “City Wilds” column for the Anchorage Press.